WHILE a leading Indian politician was railing against media sensationalism and lack of credibility and a major Asian communications conference was meeting in Hyderabad this week, police in Mumbai were crowing over the arrest of seven alleged assassins of a prominent investigative journalist in a case that has shocked the nation. Veteran MiDDay crime journalist Jyotirmoy Dey was gunned down in a street not far from his home on the outskirts of Mumbai in a daylight gangland style execution on June 11. While police displayed the seven hooded suspects in a press conference after their arrest this week and showed off a .32 calibre American-made revolver and 20 rounds of “deadly and accurate” Czech-made extra long cartridges and five empty shells - which they claimed were used in the murder - no motive was revealed. But the police claimed the journalist had been killed under a supari (contract killing) order by a notorious gangland leader, Chhota Rajan. Six of the accused had criminal records, including the alleged gunman Satish Kalya, who is already facing three murder cases. Welcoming the breakthrough by the police who were under tremendous pressure to crack the crime, the national newspaper The Hindu said in an editorial that the assassination had been meticulously planned over 20 days. Having caught the suspects, the police have an even bigger challenge – unravelling the motive behind the brazen killing. Most crime reporters have excellent contacts with the underworld and a network of informers. Dey did not speak to anyone of a threat to his life or demand protection. News reports said the suspects, while confessing to the murder, claimed they did not know Dey was a prominent journalist. 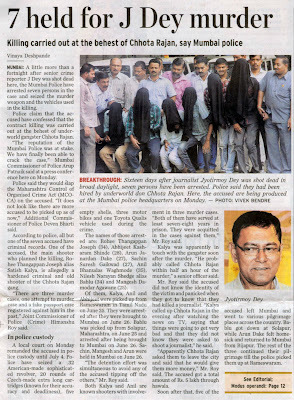 Dey, 56, had been investigating and writing on the oil mafia in India, underworld links with policemen and other issues. Journalist groups were branding his murder as an assault on the Fourth Estate of democracy. He is the third Indian journalist to have been murdered so far in 2011. Reporters sans frontières called for a full investigation to be carried out by a federal agency to ensure impartiality by investigators. But the Mumbai High Court has ruled that local police can continue their investigation until a July 6 deadline and to produce a report. Ironically, The Hindu reported the leaders of various parties calling on the media not to sensationalise news and to maintain credibility in shaping public opinion. Speaking at the launch of Jagruti Television news channel in Hyderabad last Sunday, government whip Y. Sivarami Reddy criticised some media for promoting a handful of politicians and the “street rowdy” instead of reporting on people who were “changing society for good”. Chairman of the state’s Economic Programme, N. Tulasi Reddy said media was the lifeline for survival of democracy. But he warned that as media organisations were increasing in India, their credibility was decreasing. He praised Jagruti channel for striving to promote a society with moral and ethical values instead of pandering to sensationalism. Meanwhile, a four-day Asian Media Information and Communication Centre (AMIC) organised annual conference on “the challenges and opportunities of globalisation, new media and the rise of Asia” featured five speakers from the Pacific among the more than 400 participants. The Pacific “delegation” was AMIC board member associate professor Martin Hadlow of Australia’s University of Queensland; Joys Eggins of the University of Goroka in Papua New Guinea; associate professor David Robie, director of New Zealand’s Pacific Media Centre; and Dr Munawwar Naqvi of Unitec in NZ. 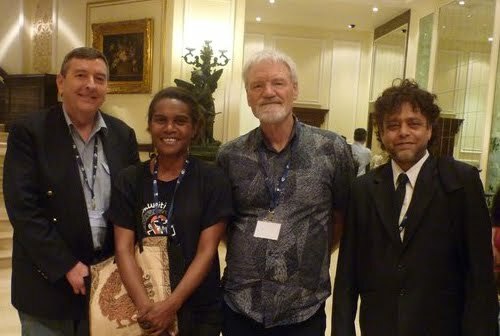 Pictured: Top: The Hindu front page on June 28; left to right at AMIC 2011: Associate professor Martin Hadlow, Joys Eggins, associate professor David Robie and Dr Munawwar Naqvi. Samoan meddling? Fiji military renegades Jone Baledrokadroka (left) and Ratu Tevita Mara (centre) - now travelling on a Tongan passport - have a tête-à-tête with Samoan Prime Minister Tuilaepa Sa'ilele in Canberra. I am dismayed that John Key’s government is allowing [ex] Lieutenant-Colonel Tevita Mara to visit New Zealand. Mara was a very senior military officer who was involved in the planning and staging of the coup of 2006. 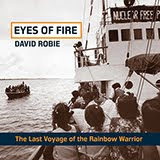 He was a member of the Military Council of Fiji that imposed the oppressive decrees in Fiji. He was the commander of the largest unit of the army and his soldiers enforced those decrees arresting people who did not comply with the decrees. Even if he did not torture those arrested, he knew what would happen to them when his soldiers handed them to Commodore Voreqe Bainimarama’s torturers. He is guilty of serious crimes against the people of Fiji. But for his falling-out with Commodore Bainimarama, he would have continued enforcing the oppressive military decrees. If Mara wants to end the military rule, as he is reported to said, he should go back to Lau and from there inspire the Fijian people to rise up against the military government in a Fijian-style “jasmine revolution”. And when the revolution succeeds, Mara should be tried for treason along with Bainimarama and the others behind the 2006 coup. NZ should not allow Mara or any other person involved in the 2006 coup to come here. John Key and Murray McCully mistakenly think allowing the likes of Mara to visit here will hasten the collapse of the military regime in Fiji. If anything, it will strengthen the resolve of Commodore Frank Bainimarama and those around him to maintain their grip on power. That is the only way they can preserve themselves. And when Mara tells us how bad the situation is in Fiji, what will NZ do that it has not already done.? Nothing will change in Fiji unless the indigenous people act. They came out in support of the coups staged by Sitiveni Rabuka and George Speight. They stood silently during the ousting of a democratically elected Prime Minister and the removal of people and institutions that criticised Bainimarama. This is where Mara needs to begin is he wants to overthrow the military government. He will need to convince Fijians and those in the army that they must respect the values of democracy and democratic institutions, uphold the constitution and the rule of law. And the army must be subservient to the democratically elected civilian government. 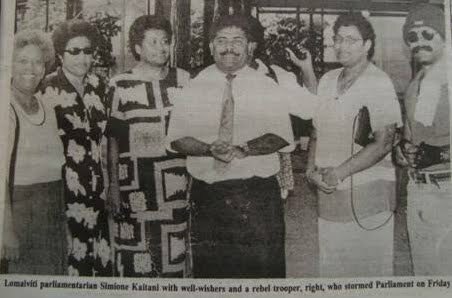 Lomaiviti parliamentarian Simione Kaitani with well-wishers and a rebel trooper (right), who stormed Parliament on Friday. The picture comes from the archives of former Fiji Daily Post publisher and columnist Thakur Ranjit Singh who has other similar images in his collection. 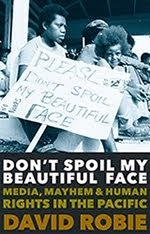 Not to mention the controversial Fiji Television Close-up programme featuring Kaitani and an alleged "incitement" incident. Kaitani later also had the Information portfolio in the Laisenia Qarase government for a period. Kaitani was among the supporters for Fiji military renegade Ratu Tevita Mara at a public anti-regime meeting in Queanbeyan, near Canberra, last weekend. Mara is currently in Australia on a Tongan passport (he is a cousin of the king of Tonga as well as being youngest son of Fiji's founding prime minister Ratu Sir Kamisese Mara) drumming up support. He is expected to visit New Zealand on a restricted two-day visa next week. Mere elections do not deliver democracy. One that does not grant freedom, equality and social justice to all its citizens is not worth defending. 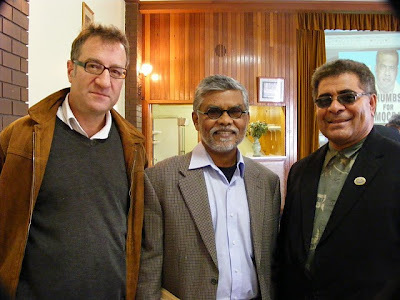 A seminar was organised by the Coalition for Democracy in Fiji in late December 2006, in Auckland, just weeks after Commodore Voreqe Bainimarama ousted Laisenia Qarase’s supposedly democratic government. This author presented a paper and accused New Zealand and Australian governments of hypocrisy, double standards and being ungrateful and blinkered neighbours because of their lack of understanding and appreciation about Fiji’s fundamental ills. NZ mainstream media, which lacks diversity in its newsrooms, was also not spared for its inability to analyse the real truth about Fiji, and appeared to be singing from the same hymn sheet of their government’s dogmatic foreign policy on Fiji’s faltering democracy and governance issues. It appears nothing much has changed in those last four and a half years. Australia granted a visa to the renegade military man Ratu Tevita Mara, aka Roko Ului, to address the so-called democracy movement in exile near Canberra during the weekend. 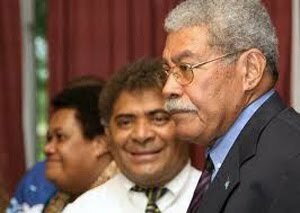 It is interesting to see the makeup of this dubious forum: SDL, Vanua, Church, the nationalists, unions and the flotsam and jetsam of Qarase’s SDL stalwarts who were off-loaded from the racist gravy train. Among other things, they wish to bring back the hegemony of the unelected and unrepresentative Great Council of Chiefs, which has been an obstacle to real Westminster type of democracy in Fiji. HYPOCRISY has become something of a cliché when referring to the political line taken by the Australian and New Zealand governments and their grab-bag of fellow traveller academics and gullible journalists. The latest circus over alleged human rights violations culprit and coup colonel Ratu Tevita Mara is yet another example. Both the Australian and NZ governments have thrown any semblance of credibility to the wind by breaching their own policies and granting Mara temporary visa rights to make propaganda visits to both countries. It is refreshing to have a handful of independent journalists to strip away the camouflage and remind us of the realities about Pacific politics. Fiji under Laisenia Qarase, the leader deposed by the military coup in 2006, was no genuine “democracy” - it was an ethno-nationalist regime riding on the coat tails of the 2000 attempted coup. Perpetrator George Speight may be languishing in prison for treason, but his warped “vision” of indigenous supremacy for Fiji, instead of a multiethnic state, was echoed by the policies of the Qarase government. Graham Davis has produced what he claims to be a “smoking gun” picture (above, Drum Pasifika) of Australian National University opponents of the Bainimarama military regime – Dr Jon Fraenkel and Professor Brij Lal – alongside one of Speight’s onetime supporters, Simione Kaitani. As well as being widely known to have been a backer of Speight (right below, Network 9) – although he was acquitted on a charge of treason due to lack of evidence that he had actually sworn an oath of allegiance to the Speight rebel "regime" - Kaitani was also a key man for Qarase (right bottom, TNN) and reportedly had a hand in promoting a bill aimed at releasing the coup leaders early, a move that eventually led to the 2006 coup. In February 2011, a new commanding officer of the Fiji Third Infantry Regiment, Lieutenant-Colonel Jone Kalouniwai, was appointed by the military. The appointment came following speculation that the former commanding officer, Ratu Tevita Uluilakeba Mara was under investigation together with another senior military officer, Land Forces Commander Brigadier-General Pita Driti, for plotting the removal of Prime Minister Commodore Voreqe Bainimarama in 2010 (Fiji Village News, 4 February, 2011). The news that senior members of the Fiji military who had earlier supported the coup had had a fall out with Bainimarama brought back memories of the mutiny in November 2000. In 2000, the rebel soldiers, with the support of the Naitasiri high chief Ratu Inoke Takiveikata, wanted to replace Bainimarama. Colonel Filipo Tarakinikini or Rusiate Koroivusere were the two names put forward by Captain Shane Stevens to replace Commodore Voreqe Bainimarama if they successfully took over Queen Elizabeth Barracks in 2000. During the trial of Ratu Inoke Takiveikata, state witness Maciu Turagacati said: “At Ratu Inoke Takiveikata's office at the Naitasiri Provincial Council, Captain Stevens, the rebel leader, informed the meeting that they would take over the military camp but needed some assistance like arms and handcuffs to be provided by the Qaranivalu and his group” (Fiji Village News, 18 February 2011). Unlike the events of November 2000, this time members of the Fiji Military Forces notified Commander Voreqe Bainimarama that senior members of the military were conspiring to oust him from power and as a result both officers were sent on an indefinite leave. Following an investigation, on 4 May 2011, Pita Driti was charged with two counts of uttering seditious comments and one count of inciting mutiny, and Ratu Tevita Uluilakeba Mara faced one count of uttering seditious comments under Section 67 of the Fiji Crimes Decree. Both former senior military officers were released on $F2000 bail. Ratu Tevita was ordered to surrender his passport to the police on May 5 and report on his whereabouts by 15 May 2011 and attend the court hearing on 30 May and 1 June 2011. On 9 May, Ratu Tevita was “extracted” by the Tongan Royal Navy patrol boat Savea from within Fiji's territorial waters after he was reportedly taken to the extraction point by Risto Harmat, an Estonian national who was charged and later bailed over his alleged part in assisting Ratu Tevita. 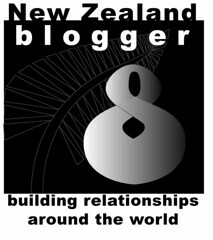 On 23 May, the New Zealand Herald reported that two New Zealand nationals and Ratu Tevita’s friends, Anthony Fullman and Tim McBride, were questioned by Fiji police and a TV New Zealand crew was also questioned after attempting to interview Ratu Tevita’s wife in Suva (New Zealand Herald, 23 May 2011). The regional leaders remained tight-lipped but were privately supporting what had transpired in Fiji. The Australian Parliamentary Secretary Richard Marles opined that tensions between Fiji and Tonga was a “bilateral issue” and the New Zealand Foreign Affairs Minister Murray McCully advised the US Secretary of State, Hillary Clinton, that the “situation in Fiji was becoming more challenging for the Fiji’s military leader” (Radio NZ, 18 May 2011). In Tonga, the Forum Trade Ministers had gathered for a meeting on Forum trade but high on the agenda for discussion was not trade but how Australia, New Zealand, Samoa and Tonga could leverage Ratu Tevita’s defection. Tonga’s Chief Secretary, Busby Kautoke, told Pacnews that Ratu Tevita was a “man rescued at sea”. However, under the Tongan Extradition Act 1988, Fiji is one of the designated countries where an individual can be extradited back but Tonga had no such intention and instead issued a Tongan passport to Ratu Tevita as both Australia and New Zealand debated relaxing their travel ban on Ratu Tevita. How cynical is our government? While [the NZ] government has expelled law-abiding Martin Payne who brought his life savings here from Britain and set up a successful family business in Northland, Prime Minister Key is now offering or considering offering political asylum to a Fijian bail absconder. The Fijian, Ratu Tevita Mara, has connections to the Tongan royal family, and is under the protection of the king of Tonga. He does not need asylum, he has it already. 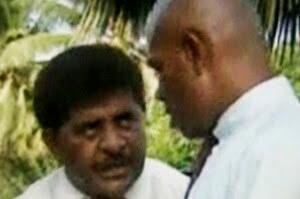 On 10 June 2011, Ratu Tevita was successful in securing a visa to Australia despite being on a travel blacklist by Canberra and much to the surprise of many indigenous Fijians who were refused political asylum, despite a sanctions regime in place on Fiji since December 2006. Are Australia or New Zealand serious about democracy in Fiji? 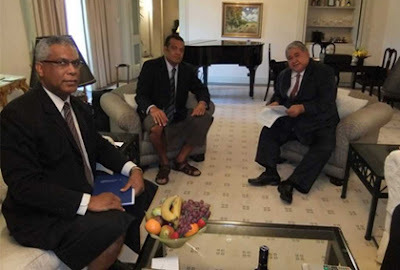 Tonga can be excused because it is hardly a model for democratic change in the region and Samoa has been engaged in hurling abuse at Commodore Voreqe Baininarama since the December 2006 coup. Is the strategy for democratic change in Fiji focused too much on one person (Bainimarama) rather than working collaboratively towards a constitutional, institutional and an electoral system that will enable greater cross cultural discourse and political inclusion in Fiji. Ratu Tevita has claimed on YouTube and on Television New Zealand that Bainimarama is a “puppet” of the Attorney-General Saiyed Khaiyum. Wasn’t a similar call was made by the Taukei Movement in April 1987, which accused late Dr Timoci Bavadra, the indigenous Fijian prime minister, of being a puppet of Jai Ram Reddy? Commodore Bainimarama and Professor Crosbie Walsh have highlighted that the comments of Ratu Tevita against Attorney-General Aiyaz Sayed-Khaiyum were racist and possibly aimed at consolidating the support of the indigenous nationalists overseas. The defection of Ratu Tevita has highlighted the lack of direction in the region in dealing with Fiji. Exceptions are made to policy positions based on political expediency rather than a determination to improve the social and the economic conditions of the people of Fiji. Dr Sanjay Ramesh is an associate fellow in the Centre for Peace and Conflict at the University of Sydney.